Nothing is more attractive than a brilliant white smile and a healthy tan. Now you can have both at the same time with Twilight Teeth. 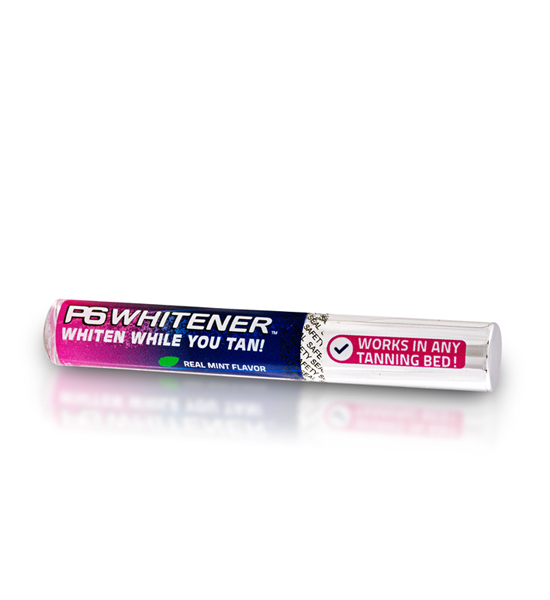 The Original "Whiten While You Tan" Whitening System! That's right...Twilight Teeth uses heat and UV light of Your Tanning Session to accelerate the whitening process and delivers whitening results superior to any over the counter product you can buy. Twilight Teeth’s patented No Rinse Process! P6 Whitening Gel was the first on the market to bring you the same whitening process used in dental offices, but in a special kit, complete with a small, comfortable mouthpiece and a simple application process with an enjoyable mint flavor.